Modern practicing occultists have argued that renowned horror writer H. P. Lovecraft was in possession of in-depth knowledge of black magick. Literary scholars claim that he was a master of his genre and craft, and his findings are purely psychological, nothing more. Was Lovecraft a practitioner of the dark arts himself? Was he privileged to knowledge that cannot be otherwise explained? 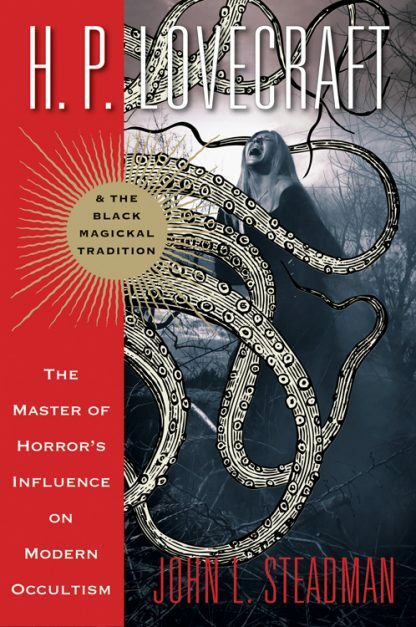 Weaving the life story of Lovecraft in and out of an analysis of various modern magickal systems, scholar John L. Steadman has found direct and concrete examples that demonstrate that Lovecraft�s works and specifically his Cthulhu Mythos and his creation of the Necronomicon are a legitimate basis for a working magickal system. Whether you believe Lovecraft had supernatural powers or not, no one can argue against Lovecraft�s profound influence on many modern black arts and the darker currents of western occultism.